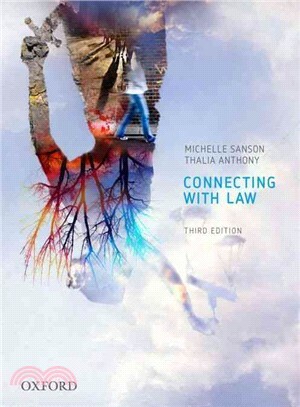 Connecting with Law Third Edition introduces students to the foundations of law in a thought provoking way, challenging them to think critically, question ideas and connect with the law. It provides students with a broader context which allows them to start thinking about the values law embodies and their relationship to society. This fresh approach to introductory law is designed to engage students with contemporary examples and case studies they can relate to, and which help them understand the law. Michelle Sanson is an International Lawyer and Humanitarian and Adjunct Fellow at UWS School of Law. Thalia Anthony is a Senior Lecturer, Faculty of Law, University of Technology Sydney.